* Total number of reviews and star-ratings are based on data collected during the time period Efficiency Garage Door Service has been using the ReviewBuzz system and may not directly match the data found on each public review site. I've been doing business with them for some 30 years. I have always found this company outstanding in both the quality of their products & particularly with their service department. We recently had Geremy install two new garage doors on a cold & snowy Saturday. He arrived promptly, fully prepared to complete the work. An outstanding job by him. The following business day, I received a call from their business office letting me know of an accidental overcharge. As a customer,? I ABSOLUTELY appreciate this type of honesty from a business. The whole team from Casey the owner to Phil who did a great job and explained the process while being a professional and really nice guy , thank you ! Rusty rescued us following a door 'accident', repaired the door quickly and explained the underlying problem. We have scheduled a follow-up appointment and appreciate your excellent service. Ryan called before he arrived, and conpleted the work at the top of the window period. The entire experience was positive. He is knowledgeable, professional and gracious. Ryan helped move a large item in the garage so he could access the springs,’which was above and beyond the scope of work. He completed the project, explained his work, and made sure everything was back in place. Ryan is personable and a hard worker. I’ve always been pleased with the work done by this team, and I recommend them without reservation. Rusty did great job on the install and got it finished in the time he said it would take. Would recommend them for another job. thanks EGDS for a great job! We have used Efficiency for years. They are always honest, which is extremely important to us. I thought I need a new weather seal and the nice guy pointed out I really didn't. Thanks! I had a great experience with Efficiency Garage Door Service. The tech (Ryan) was prompt, courteous and thorough. 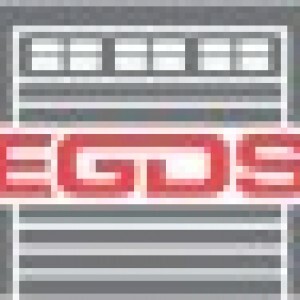 EGDS is an excellent company, providing prompt, friendly service and highly capable technicians at a reasonable price. They were fantastic!! Jeremy and his helper came out almost within an hour of me calling Efficiency with the problem I couldn't get garage door to open or close. My husband was leaving town and even tho' they had four other calls to make they drove back to the shop got a new Liftmaster garage door opener and installed unbeknownst to me while I met with a previous appt. with someone inside my house. I was shocked when I went into the garage and discovered it an hour later--kind of like a surprise present-but of course , I paid for it. I felt like they were protecting me. Great service. They fix what was needed and were reasonable! We received same day service for our damaged garage door. Jeremy, the service technician was knowledgeable and quickly fixed the problem. Highly recommend! I had a problem with the garage door randomly opening by itself. Matt came out on time on a Saturday morning and did a quick tune up for me. He took the time to explain what was wrong with my door. Fast, friendly service. I highly recommend this company! Great company to work with. Always friendly, do great work and very reasonable. Customer service is always a top priority at Efficiency Garage Door Service. Our BBB Membership A+ rating is like a badge of honor as we continuously strive to provide the best experience for our clients.